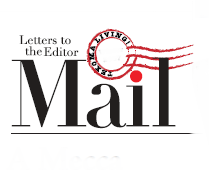 This “Letter the Editor” appeared in the Fall 2008 issue of Texoma Living!. I was very pleased with the article on me in the Summer issue. I thought (writer) Will Watson did a super job. I have had many favorable comments on the article and also about your magazine. Your magazine gives some much needed class to the area. Jerry Peddicord, Cpt. U.S.N., Ret. Editor: Peddicord was profiled in the Summer issue for his tireless service to the City of Pottsboro in helping clean up the area’s parks and roadways.